Caption slip reads: "Photographer: Hecht. Date: 1951-09-11. Reporter: Massard. Assignment: Boat explosion. Dep. 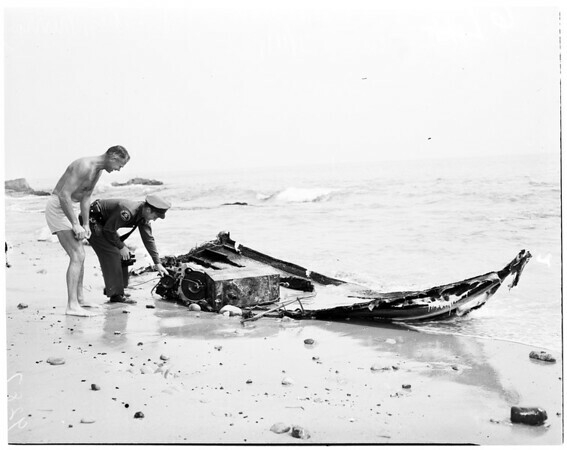 Sheriff Murray A. Taylor & Rod Weichlein inspect wreckage. Weichlin rescued 3 of 4 occupants".